This week, a Chinese court sentenced Robert Schellenberg to death for drug smuggling. 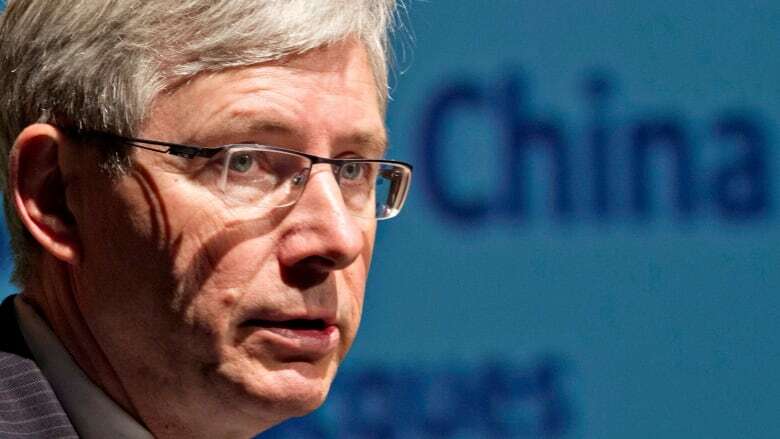 Former Canadian Ambassador to China Guy Saint-Jacques, who worked on Schellenberg's case from 2014 to 2016, says past efforts to advocate for Canadians there don't offer much hope. 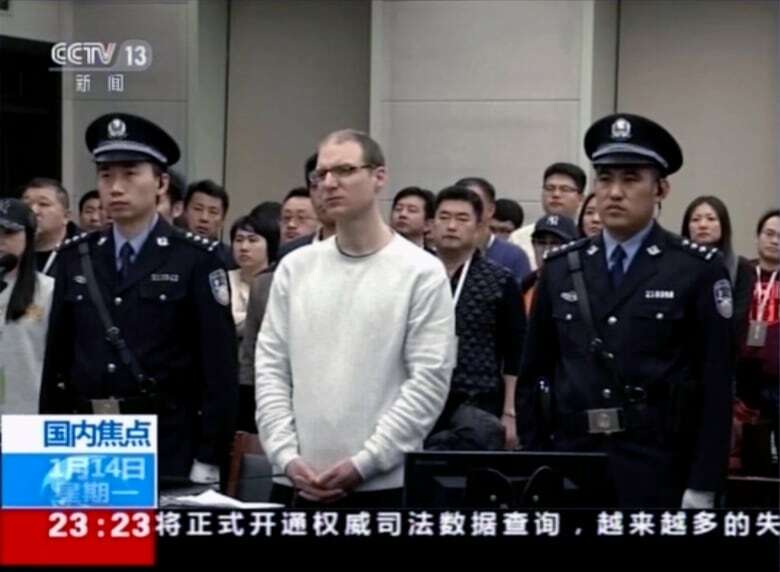 Canada's former ambassador to China, Guy Saint-Jacques, says there's little chance that Canadian Robert Schellenberg, who has been sentenced to death for drug trafficking, will successfully appeal his sentence. It's a scenario Saint-Jacques, who represented Canada in China from 2012 until 2016, understands well. During those years, he advocated on behalf of a Canadian who was sentenced to execution in 2015. At the time, Saint-Jacques served as a conduit between Canada's Ministry of Foreign Affairs, consulate diplomats and Chinese officials. Then-Prime Minister Stephen Harper eventually stepped in, asking for leniency. "I went to deliver this ... personal letter of Prime Minister Harper to President Xi Jinping calling for clemency," Saint-Jacques told Day 6. The man — who, like Schellenberg, was convicted of drug trafficking — was killed the next day. Schellenberg, from Abbotsford, B.C., was tried in 2016 for smuggling 222 kilograms of methamphetamines and given 15 years in jail. On Monday, in a one-day trial, a Chinese court sentenced him to death. Prime Minister Justin Trudeau requested clemency for Schellenberg. That request was denied — and given precedent, Saint-Jacques says it's unlikely Schellenberg's appeal will secure a lighter sentence. Saint-Jacques believes that the arrest of Huawai CFO Meng Wanzhou last month in Vancouver is behind China's sudden escalation in the Schellenberg case. Here's part of Saint-Jacques' conversation with Day 6 host Brent Bambury. You were Canada's ambassador to China; it would have been very unusual for you to meet with a prisoner under those circumstances. But John McCallum, the current ambassador to China, met with Robert Schellenberg this week. Why do you think this unusual meeting occurred? You're right. It's very unusual for the ambassador to be involved in consular visits. I think it's because of the, frankly, the crisis in our relationship with China. In the case of Mr. Schellenberg, it's very unusual that you will see a case like this where after having been given a sentence of 15 years, this would be revised with the death penalty and more seriously, this came without a two-year suspension period. In some cases, people will be condemned to death sentence, but if they behave well for two years, this will be commuted to a life sentence. And so in this case it was only that sentence. So there's a sense of urgency, then, around this case. How likely do you think it is that Robert Schellenberg would be executed? Well, based on precedence I think, unfortunately, it's likely. In the Chinese judicial system, once you are formally charged, you are found guilty in 99.9 per cent of the cases and ... it's very rare that the verdict will be overturned or changed. And once the final verdict is given, people usually don't sit very long on death row before the execution takes place. Obviously, in this case, I expect that there have been already a number of démarches that have taken place in Beijing, done by the embassy, and that more will be done in the future. But the fact that this has been politicized, as you say, does that present some hope for Mr. Schellenberg? Does that mean that there may be a path where Canadian officials and Chinese officials can negotiate a way to stop this from happening? In many ways, what I see happening right now is very similar to what we went through from 2014 to 2016 when the Chinese detained Julia and Kevin Garratt after the arrest of a gentleman called Su Bin in Vancouver. I think what has taken place so far seems to indicate that the Chinese would want to do a swap. But, of course, at this stage there is no way that we can do that. For Canada, rule of law is very important. We have principles and we have no other choice but to go through the extradition process for Mrs. Meng Wanzhou. Would China do this if Mr. Schellenberg were an American citizen? I don't think so because, in fact, if you look at the situation now it's obvious that the the problem that China has is with the United States and it's this commercial war, and what I would call this containment strategy that is being pursued by the Americans. But, you know, the U.S. is a superpower and China does not dare to take any measures and so they turn around and it's easy for them to kick us and, frankly, it's bullying that they are doing against Canada. We have sought the support of friendly countries, and we have had quite a bit of support, and it's unprecedented that something like this happened. This took the Chinese by surprise and there were comments in the Chinese press this week to tried to dismiss this but for sure it has been noted in Beijing. This transcript has been edited for length and clarity. To hear the full interview with Guy Saint-Jacques, download our podcast or click 'listen' at the top of this page.